The ground shook violently in L’Aquila, Italy, early in the morning of April 6, 2009, more violently than it had during the tremors the area had been experiencing for months. After the dust settled and the recovery effort was over, 308 people were dead. Now the local prosecutor is charging the scientific committee responsible for predicting earthquakes with failing to give the people of L’Aquila adequate warning. But the issue is not the science of earthquake prediction. The prosecutor, and the locals who want the case brought, realize that nobody can accurately predict earthquakes. The issue, and the heart of the charge, is about how risk is communicated. And for that reason, this is a trial with implications far beyond L’Aquila, and far beyond seismology. This is about the important, and overlooked, role of risk communication in helping protect public safety. People in central Italy know the Apennine mountains are seismically active, and the months-long spate of tremors had put everyone on edge. A technician at a physics lab had announced a new way of predicting earthquakes, and predicted big quakes near L’Aquila in the weeks before April 6…false alarms that freaked people out. The technician was blamed for being alarmist. He was even reported to the police for ‘spreading fear’. For all these reasons the Commissione Nazionale dei Grandi Rischi, the national panel of science experts charged with studying and forecasting serious risks in Italy, held an emergency meeting in L’Aquila a week before the quake. Their discussion focused on that lab tech’s new prediction method, and the experts agreed the tech was wrong. They agreed that the tremors that had hit the area were releasing energy, which could suggest that a big quake might not happen, or that it might. Nobody could know for sure. In the meeting, they were cautious. In the brief news conference that followed, the government official in charge of the committee – who was the only person to speak to the press – was not. "The scientific community tells us there is no danger, because there is an ongoing discharge of energy. The situation looks favourable," Dr. Bernardo De Bernardinis, then deputy chief of Italy’s Civil Protection Department, told a reporter. People in the area were reassured. Some say they took fewer precautions than a more thoughtful warning might have prompted. Essentially for that imprecise bit of risk communication, Dr. De Bernadinis and the six scientists on the committee now face manslaughter charges, and a civil penalty request of $60 million, in a case that has shaken the international science community and caused widespread criticism, most of which fails to understand the real issue on trial. 5,000 scientists signed a petition sent to Italy’s president criticizing prosecutors for blaming scientists for not predicting earthquakes accurately. “There is no way they could have done that credibly,” the petition says. ‘To expect more of science at this time is unreasonable.” A editorial in the Los Angeles (earthquake central) Times gets it wrong too, calling the trial an ‘inquisition’ and ‘ludicrous’. The lawyer for one of the scientist-defendants says “You can not put science on trial.” Say what you might about Italy’s justice system, but we’re not back at Galileo here. Science is NOT on trial. Even the quake victims say so. Vincenzo Vittorini, a L'Aquila doctor who lost his wife and daughter in the quake and now heads the victims' association '309 Martiri' (309 Martyrs) that pressed to have the case brought, says "Nobody here wants to put science in the dock," he says. "We all know that the earthquake could not be predicted, and that evacuation was not an option. All we wanted was clearer information on risks in order to make our choices". What is on trial is risk communication, and the entire committee deserves some blame. The comments by Dr. De Bernardinis, government official and chair of the earthquake committee but an expert in floods, that there was “No danger” and that “the situation looks favourable”, were patently thoughtless. Some of the other defendants are hinting that Dr. De Bernardinis overstated their cautious consensus in order to calm the public down after those previous false alarms, possibly under orders from higher up in government (this being ‘there’s a conspiracy behind everything’ Italy). Easy for them to say now. None of the others, experts in seismology, participated in the post-meeting news conference. Everyone on that committee failed the public. They all failed to provide information that would help people make healthy judgments about their safety. They apparently never even considered that critical aspect of their responsibility. There was no one with risk communication expertise at the table during the meeting, and the experts skipped the post-meeting new conference. They thought about the risk through their narrow expertise as scientists, and either out of ignorance, or hubris - probably both - thought that was enough. They aren’t on trial for failing as risk scientists. They are on trial for failing as risk communicators. And they should be, though perhaps more in the court of public opinion than in a court of law. There are all sorts of psychological factors that play a role in how people perceive the risk of earthquakes (or any risk, for that matter), so proving to some reasonable legal certainty that the inadequate communication directly caused deaths and harm is highly unlikely. But poor risk communication undoubtedly contributed to the public’s perception of the risk, and had some influence on the choices and behaviors of the residents of L’Aquila that may have left some of them at greater risk. Here is the problem, and the lesson the L’Aquila case might teach. 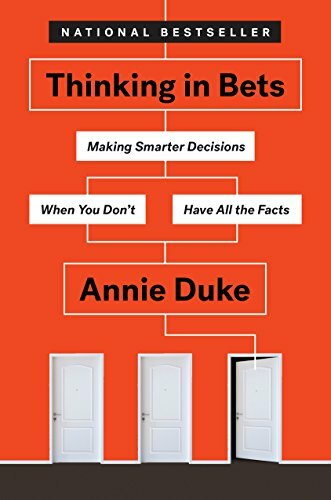 Scientists and government risk analysts may do objective fact-based risk assessment, but non-scientists (and scientists too, when they get out of the lab) do subjective risk perception, based on a few facts and, mostly, how those facts feel, and how we feel shapes how we behave. To a significant degree our feelings about any risk are shaped by the opinion of experts, like the Commissione Nazionale dei Grandi Rischi, upon whom we rely for guidance about how to stay safe. The scientists and government officials studying risk on our behalf must not only do their analyses well. They must accept the responsibility to communicate, and to communicate well…carefully, clearly, respectful of the importance of emotions to how we perceive risk…because as much as the science they do, what they say, and how they say it, has a lot to do with how much risk we actually face. A CBC radio interview with Nicola Nosengo, an Italian science journalist who has covered the story for Nature magazine. The Economist. L'Aquila. earthquake, Scientists in the dock. an extraordinary manslaughter trial starts in Italy.